Mount Shasta from the west. This was the unlikely perspective of the first known depiction of the mountain. 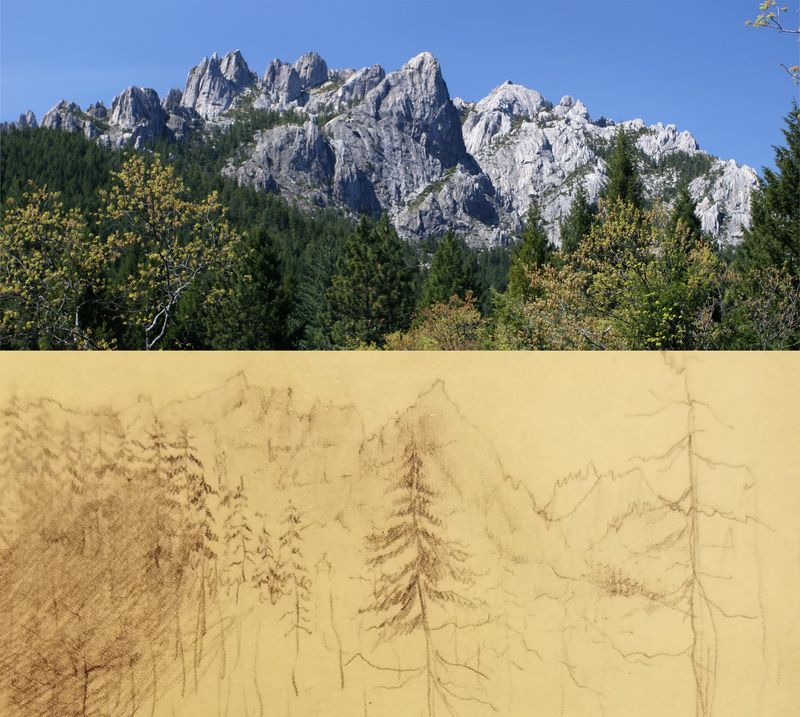 In my last post on Castle Dome, I included an image of the first known representation of the Castle Crags. This sketch of Castle Dome and the Crags was one of the many contributions of the little known and largely forgotten United States Exploring Expedition. This expedition was easily the largest scientific effort made by the United States prior to the Civil War. The scope and achievement of this group of soldiers, sailors and scientists is astounding and it is remarkable that this grand adventure has lapsed into obscurity. The scientific discoveries and its effect on the antebellum geopolitical situation in North America were extremely influential. While there is much to recount about the expedition, the reason it is relevant to Hike Mt Shasta is its connection to Mount Shasta. It was on this journey that the first known depiction of Mount Shasta was made, introducing the mountain into the American psyche and establishing its reputation as one of the grandest mountains in the west. The USEE flagship USS Vincennes in Antarctica. Although the entirety of the United States Exploring Expedition’s is worth recounting, that is not the purpose of this post. However, some brief details are important for context. The USEE consisted of 7 ships. They were staffed by military personnel but were accompanied by a scientific corp of 9 individuals, each with a particular specialty. This group set out from Virginia in 1838 and proceeded to cross the Atlantic before recrossing back to the southwest and an traveling around South America. Once in the Pacific, they continued up the west coast of South America to Peru and then turned west. 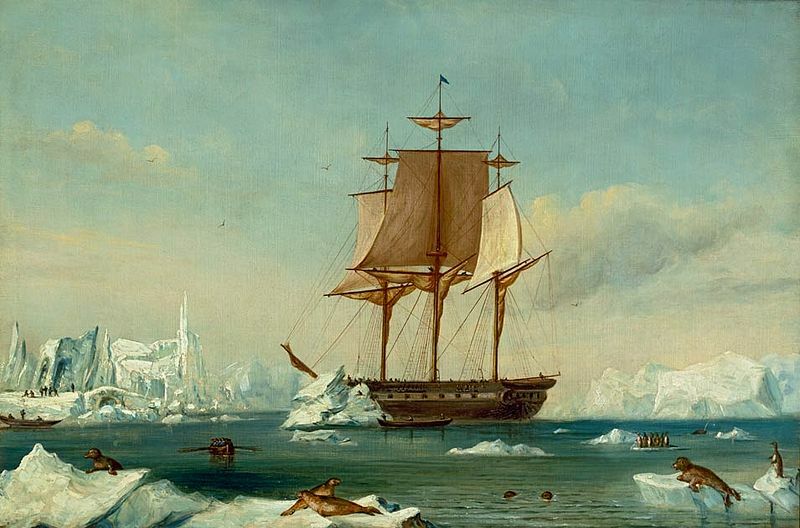 The ships crossed the Pacific and traveled south to Antarctica before arriving at Australia. From there they explored several islands of Micronesia before reaching Hawaii. 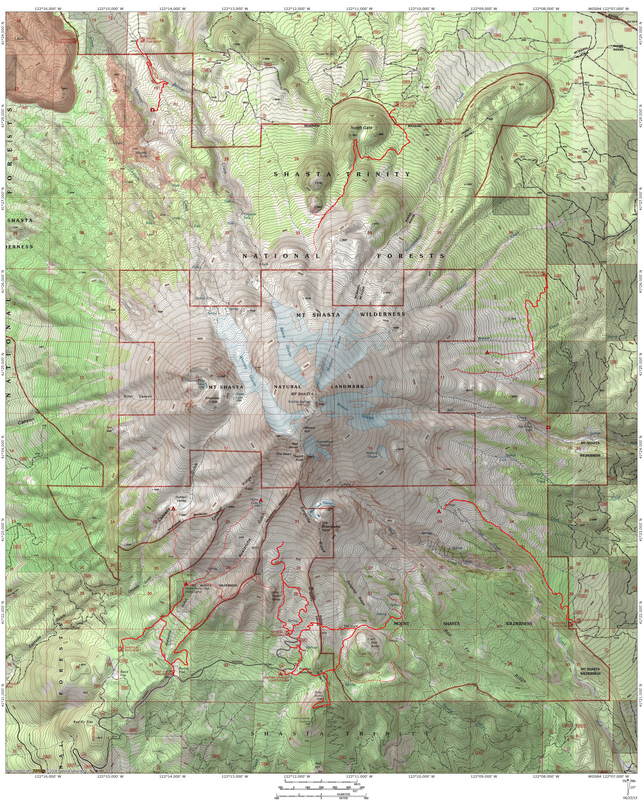 It is at this point that the USEE’s journey becomes relevant to Hike Mt Shasta. From Hawaii, the expedition continued to Washington, where they explored Puget Sound. They then traveled to the Columbia River. Here the group split up. The ships proceeded to San Francisco Bay while an overland party headed south through the Willamette Valley. This group, which included artist Alfred Agate and geologist James Dana eventually reached Mount Shasta. From there they followed the Sacramento River down to Sutter’s Fort and hence to San Francisco Bay, where they rejoined the main part of the expedition. Having completed this survey, the USEE headed west across the Pacific again en route to the Philippines. From there, they passed through the South China Sea, across the Indian and Atlantic Oceans and ending their journey in New York. 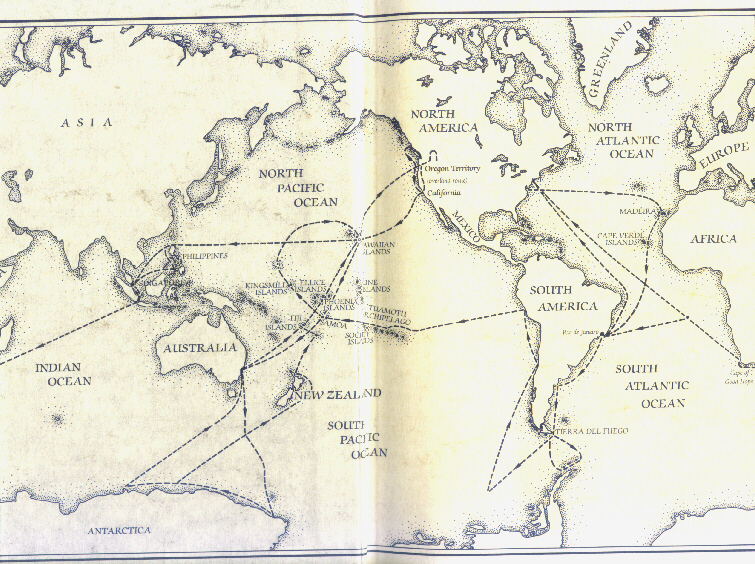 The remarkable route of the United States Exploring Expedition. Obviously the relevant part of this story is the overland expedition’s encounter with Mount Shasta and the Castle Crags. This was the first sighting of both landmarks by a scientific body. It is fitting then, that the first images of both the Crags and Mount Shasta are a result of the groups passage beneath these mountains. It was in the journal of geologist James Dana that we see the Crags depicted and it is the work of artist Alfred Agate that yielded the first image of Mount Shasta. Though these were sketches of the these two excellent features and not photographs, it was an important first step in recording their existence and making peoples in the eastern United States aware of them. As is often the case with older drawings and paintings, the peaks are interpreted by the artist and our modern eyes may not always see them the way the original artists perceive them. However, I have a knack for recognizing geographic features and I reckon this might be a good place to put that to use. Having already included the image of Castle Dome in a previous post, that seems like a good place to start. 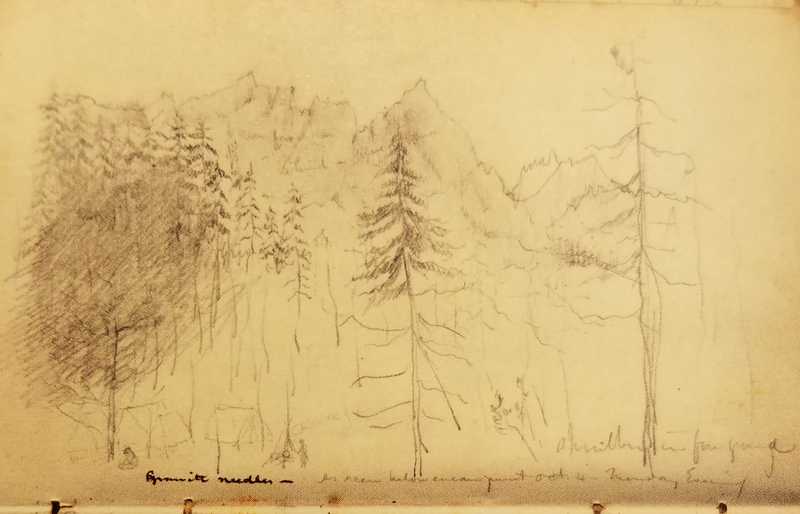 The Castle Crags as drawn by James Dana, 1841. In some ways, recognizing Castle Dome and the Castle Crags in the image is easy. The particular giveaway is the shape of Castle Dome. The peak appears quite differently depending on which angle one views it. However, it is obvious that Dana was looking at the dome and the rest of the peak from somewhere near Root Creek. It seems likely to me that it was near that creek’s confluence with the Sacramento River. The shape of the peak from that perspective in unmistakable. Though somewhat exaggerated, the contours of the peak are readily identified. The pointed summit, the bulge on the right side and the crags on the left side all match the sketch by Dana. The rest of the spires of the Castle Crags also match those drawn by Dana. Especially apparent is the tower of Mt. Hubris (aka the Ogre) on the left. Even Six-Toe Rock, the lower peaks on the far left, are represented in the sketch. However, it should be noted that the peaks to the right of Castle Dome are not in proportion to the rest of the peaks in the sketch. Despite this, the drawing by James Dana is a fascinating piece of the region’s history. The Castle Crags aren’t the only fantastic geologic feature noticed by the USEE. Mount Shasta obviously drew their attention and it was inevitable that one of them would have drawn the awesome peak. Unfortunately, at first glance, the representation of Mount Shasta seems to leave something to be desired. It does not seem to be the most impressive depiction of this most singular and majestic mountain. 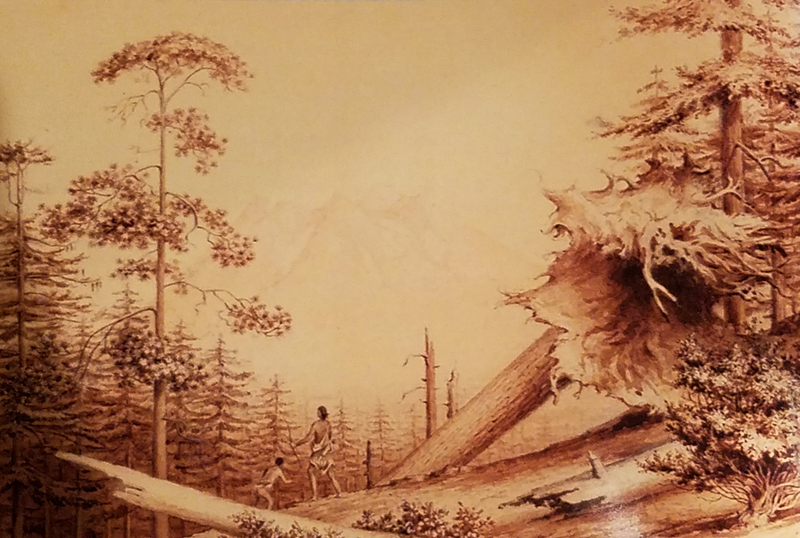 The first drawing of Mount Shasta by Alfred Agate, 1841. The drawing, which has shockingly detailed foreground, depicts a mountain that appears tall but somewhat unimpressive. This is compounded by the drawings again, which has caused the peak to fade somewhat. 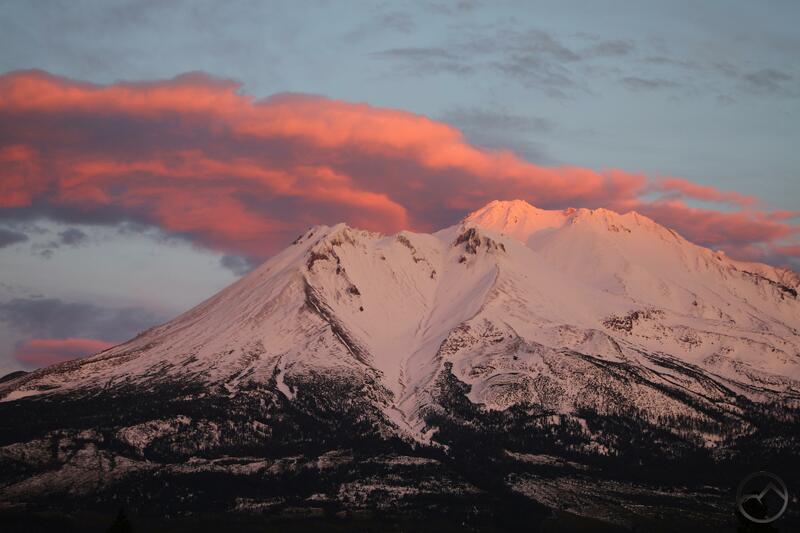 Moreover, the perspective on the mountain does not, at first blush, appear to look like Mount Shasta. These attributes tend to leave the image, as a whole, a bit underwhelming. Thankfully, the image was recreated as an engraving with the help of Agate. 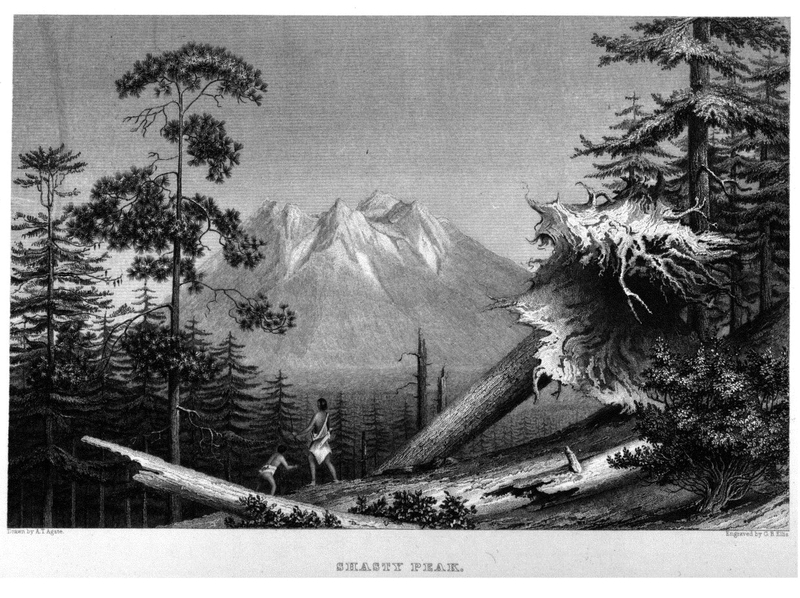 The engraving, which identified the mountain as “Shasty Peak”, made the features of the original drawing more discernible. With the mountain darkened and more obvious, it is possible to identify landmarks. There are 4 peak-areas in the sketch and without a sense of depth and scale which the sketch seems to lack, they all seem to be roughly the same elevation. Once aligned with an image from a similar perspective, things become clearer though. The two peaks on the left are the rugged outcroppings and spires of Shastina. The V-shaped canyon between them is large Diller Canyon. The two peaks on the right are the summit of Mount Shasta and the formation known as the Misery Cone. There is some staggered proportions amongst these peaks and, though it is not readily apparent in the engraving, it fairly straight forward which part of Mount Shasta is which. This perspective on Mount Shasta is viewed from just north of Black Butte, near south Weed. Though I like to photograph Mount Shasta from there, it is generally not one of the more common views of the mountain. However, it is the first perspective of Mount Shasta to be documented and because of that, it has some historical value, however minor. Interestingly enough, there is some city land in that area that holds this view. It would be neat if a vista point with some interpretive displays and some picnic tables could be installed recognizing the historical value of this perspective on Mount Shasta. 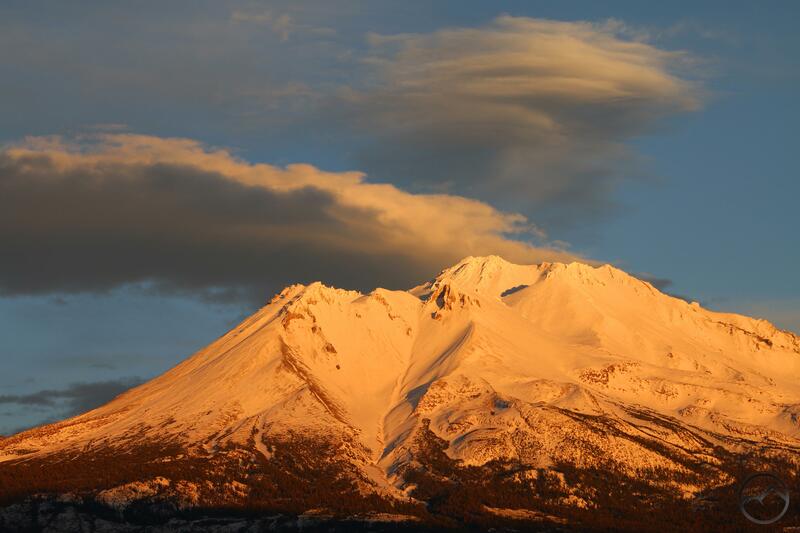 The next time you are driving along I-5 and passing the south Weed exit, be sure to look up at Mount Shasta and remember that this was the area where the United Stated Exploring Expedition stopped in 1841 and observed the mountain. It is beautiful from every perspective but historical value of this vantage makes it noteworthy! Thank you for the articles very interesting. I grew up in Castella the Crags were in my back yard.